Weak stations roll in with surprising clarity, faithfully reproduced by MFJ transceivers' signal conversion receiver. On transmit, MFJ's exclusive ConstantCurrent speech processor cuts through noise and QRM like a far more powerful radio. Take world class DX performance along on your next vacation or business trip -- the MFJ transceiver, microphone, power supply, and antenna can easily fit into your brief case or carry-on bag. At home, in the car, or on the road, you'll be amazed at what MFJ's SSB radios can do! Simple Operation: No microprocessor mumbo-jumbo -- you'll have it operating in minutes! Truly portable: Smallest rig of its' kind! Transceiver and accessories easily fit in a small bag. Great Sensitivity: Features a quiet double balanced mixer front-end, single conversion clarity and plenty of gain. If a signal is there you'll get it loud & clear. Analog S-Meter: A real calibrated S-Meter -- not a useless bargraph -- that makes peaking a tuner or finding the best beam heading clear-cut. Excellent Selectivity: Eight poles of tight IF filtering cuts adjacent chatter and focuses transmitter power where you need it. Smooth VFO: No annoying synthesizer jump or obscure keypad commands to deal with. Effortless tuning, custom reduction drive ball bearing capacitor. Power audio: BIG Audio -- even in noisy locations from a special signetics audio chip and rugged 3 inch speaker. RF Speech processing: MFJ's ConstantCurrent RF speech processing slashes through noise and QRM like a full sized radio running many times more power. 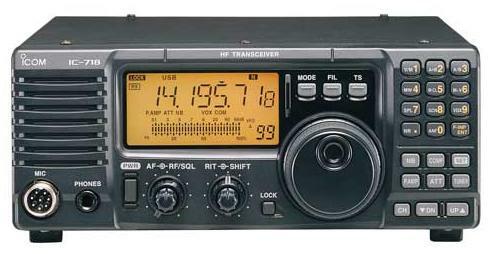 Low Current Requirement: You'll never have to lug around a heavy power supply to run this radio. Rugged Transmitter: Bullet-proof PA transistor runs cool, easily tolerates 3:1 VSWR and accidental feedline shorts or opens. Proven on-air design: you may have already worked an MFJ radio without even knowing it. Designer Rick Littlefield, K1BQT literally developed these radios on-air, under the same real-world operating conditions you will. Built to last: Conservative design, premium plate through PC board, quality components, handsome brushed aluminum panel and a tough vinyl clad case ensure years of dependable service.